A canal reflects the facades of beautiful traditional buildings. It's not enough that historical towns have beautifully preserved buildings. 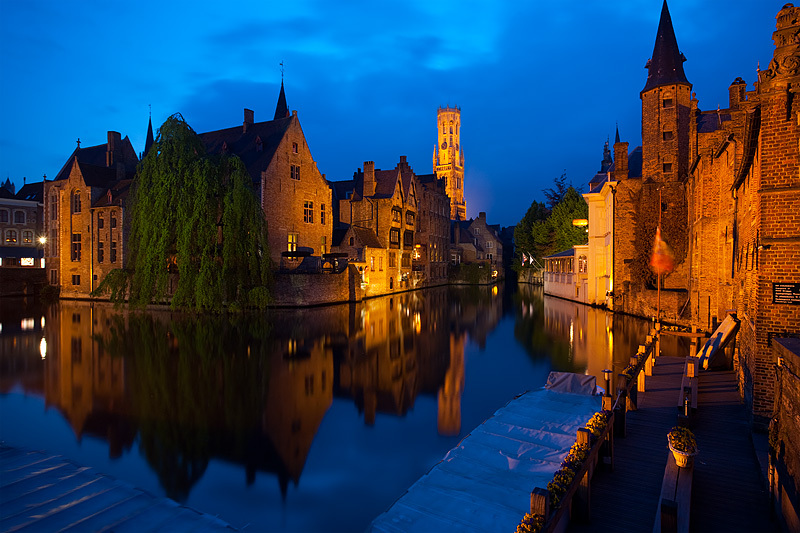 Part of the beauty of Brugge at night is how the buildings are subtly highlighted by well placed lights. The opposite end of the spectrum are the lighted buildings in China. Often, beautiful traditional buildings are lined in what can only be described as evenly spaced Christmas lights.